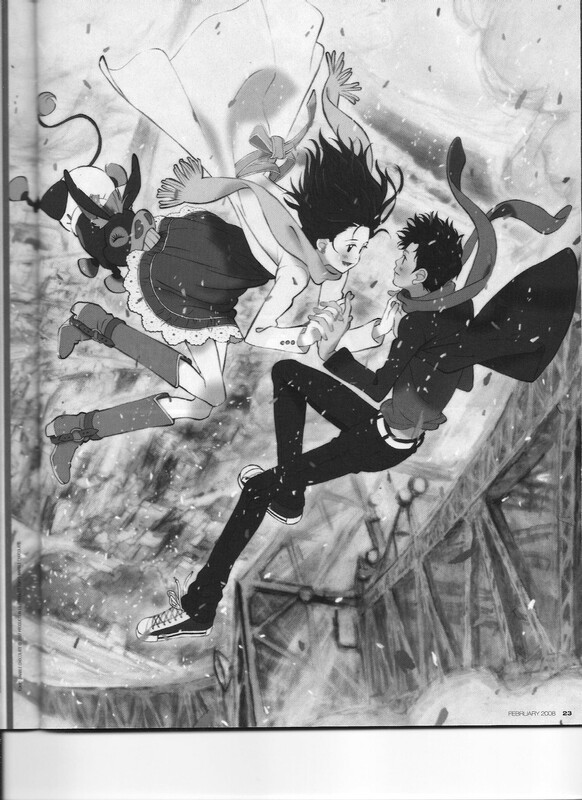 Director Naoyoshi Shiota and producer Tetsuya Nakatake talk about the animation techniques and contracts involved in the production of Tokyo Marble Chocolate. 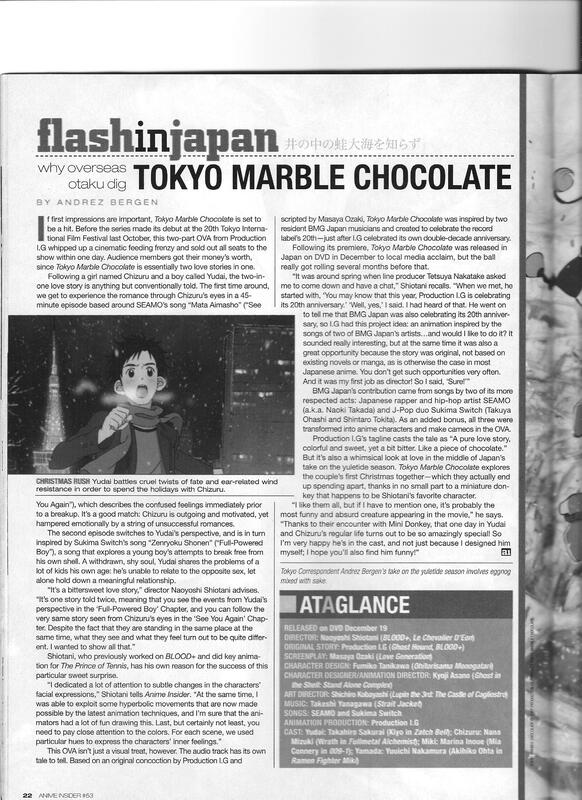 This entry was posted in Old Magazine Articles and tagged Anime, Borderline Plagarism for the Freedom of Information, Naoyoshi Shiota, Tetsuya Nakatake, Tokyo Marble Chocolate by torisunanohokori. Bookmark the permalink.